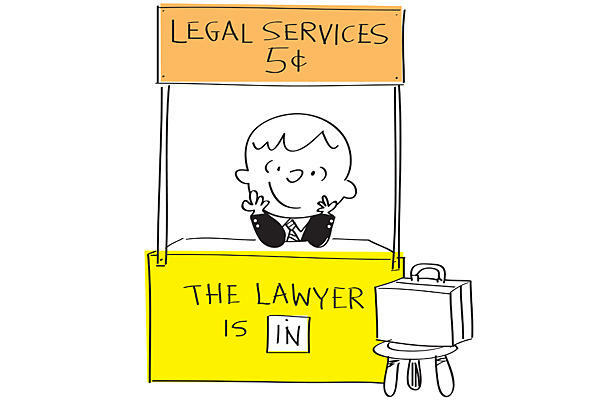 Why lawyer fees can get so expensive? For my last blog post of 2018, I’ve decided to speak on the value of lawyers! Before I understood what goes on in the legal profession and got personally involved, I always wondered, “Why do lawyers charge so much?” Well after working for over three different legal organizations, three years of law school, passing the bar exam, and practicing for over a year now, I think I understand why! 1) Your problem becomes my problem. When lawyers are hired, most of the time a crisis is going on. Plus, its probably one of the most stressful times of your life. When you hire me, your problem becomes my problem! I will be thinking about your problem outside of the office. I will be thinking about possible legal theories, arguments, and motions that I should file while I at home on an “off” day. Instead of working on side personal project, I may instead pop open my laptop and work on your case. Its truly hard for lawyers to leave work at work because you really can’t. Work is always on my mind if I want it to be or not. Sometimes I’ve found myself worrying about client’s problems more than the client. My competitive nature along keeps my mind wondering on ways to get ahead in a lawsuit 24/7. It something that is hard to turn off. If I’m unsuccessful in your case,I still haven’t learned how to shake it off when I lose a case. 2) The high ethical and legal standards required by lawyers. Lawyers are held to a higher standard versus someone who is representing themselves. Not only because we suppose to know the law, it’s because there are tons of deadlines that I cannot miss. Deadlines along will keep you up at night. Miss a crucial deadline and it could face a malpractice lawsuit. Imagine potentially lose the way you feed your family because someone is angry enough at you to file a bar complaint for an mistake. We also must be mindful of conflicts of interest, attorney client privilege, and other ethical standards we must follow. We can’t even advertise in the same way as normal businesses do. 3) The work is not easy and uncontrollable elements of a lawsuit. Try as you may, the work is just not easy, especially in an contested law suit. You may can get way with representing yourself on small issue like changing your name, but even on something like an agreed divorce I still would recommend you hire a lawyer to make sure it is done right. People failed to think of the cost of NOT hiring a lawyer. It could cost you double to hire a lawyer to fix something that was done incorrectly. Go back over someone else’s work in any case can be a pain. The uncontrollable elements of lawsuits can make them drag along forever if you got a hard headed defendant or plaintiff. Simple cases can become complete if they go from agreed to contested. Multiple court hearings, discovery requests, and filings can drive fees through the rough if you want your attorney to correctly handle these issues. I’ve seen cases double in fees just from the number of extra hearings required by a judge in one situation. We don’t want to hurt our clients with fees however, if we are not paid for our services we are hurting our staff, stealing time from our other clients, and ultimately hurting our families. Finally, it is not easy to just simply get off a case once we are deep into it. It is not easy just fire our client for non payment once a lawsuit has been filed. Most of the time, we have to motion to withdraw from a case and the judge has to agree to let us off the case. So, that is another unpaid day at court just to get off a bad case. A law firm is like any other business. All businesses have costs that must be covered. When you hire our firm, you are also hiring our team. We will all be working towards solving your problem together. We have to pay bills and service fees to properly serve you. It’ll be hard to type legal pleadings in an office with no power. Further, we have to pay employees as well. We couldn’t provide effective legal services if we didn’t have the correct team in place. In our firm, the team makes the world go around. 5) The experience level of the attorney. The experience level of an effect’s prices too. My hourly rate is $175 because I am an young attorney. My father’s rate is $250 and that’s a little on the low side for a 22-year vet in the law business. If our firm was in a major, city it would be at least $350 for someone with that experience. However, more experienced attorneys are not necessarily smarter than younger attorney. If fact, I would argue that younger attorneys know more about the law than older attorneys. The different is seeing how a certain situation will play out before the case even starts. This is where an more experienced attorney comes in to play. They have seen most legal situations before. More experience attorneys know what better precautions to take to make sure a case goes more smoothly. While an younger attorney may be able type a an answer to a motion with newer, the older attorney will know what needs to be filed will that motion to fully support it. Finally, a more experienced attorney knows more people in the legal community and can get things handled halfway off relationships. That savings in time and experience benefits the client big time. You can save thousands in fees just picking the right firm or attorney. 25 hours billed at $200 dollars an /hr is more expensive than 15 hours billed at $250 an /hr. There are plenty other reasons, but these are the main reasons why lawyers fees can get expensive from my prospective. I used to feel hesitant to change so much for my services. However, after practicing law for some time now sometimes I wonder have I charged enough? Please keep in mind that other lawyers may feel different in the value of lawyers. This is just my prospective. At Hopson Law Group we are personal injury lawyers who represent clients that are having a tough time dealing with insurance companies. You can reach us at 662-624-4100 to set up an appointment for a free consultation! ← Payment towards your medical bills regardless who is at fault? Top Mistake People Make When Settling Their Car Accident Claim Without A Lawyer! Payment towards your medical bills regardless who is at fault? Does Not Wearing A Seat Belt Affect Your Accident Claim In Mississippi?